Time flies when you’re making art: Firnew Farm Artists’ Circle is turning 15. 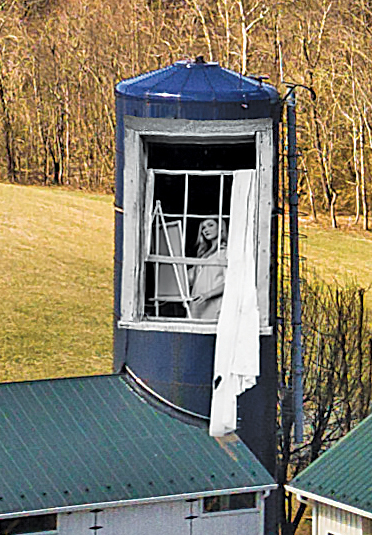 The Madison County farm/studio/gallery will celebrate 15 years of creativity and community at its annual juried art and photography show on Sunday, May 6, from 1 to 5 p.m. at the gallery. The exhibit will feature works by more than 40 local and regional artists, all from Virginia, in varied mediums — oil, photography, watercolor and mixed media. “Our focus is the natural Virginia Piedmont landscape that surrounds us. It is the perfect muse. It is line and color. It is ever changing and precious; and each artist has a unique and individual response to it,” says Trish Crowe, founder and leader of Firnew Farm Artists’ Circle. This year, photographer John Berry is taking his passion for large prints to the next level. The May show will feature new, large print installations of his work outdoors, and Berry will record and capture the outdoor festivities with a drone. The event will also showcase student artwork from several high schools and include presentation of the Tucker Hill Memorial Scholarship recipients, awarded to high school graduates planning on becoming college art majors. For the schedule for the day and more information check the Firnew’s event page. About the show: It’s free and open to the public. Firnew Barn Gallery, 19 Wolftown-Hood Road in Hood, Va., will be open Sunday, May 6, 2018, 1- 5 p.m.